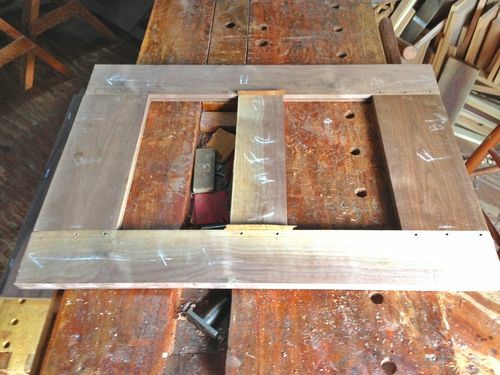 … the frame of the Prie Dieu back began to take shape. 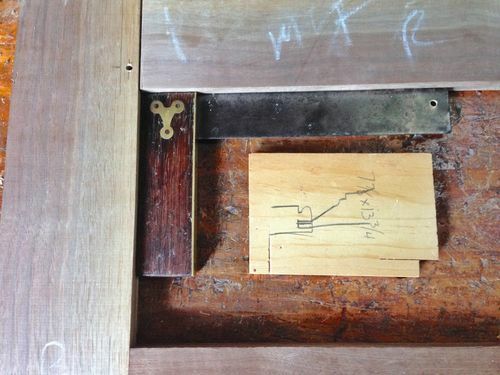 Once fitted together I drilled holes for the draw-bore pins. ... I decided on a profile akin to this. 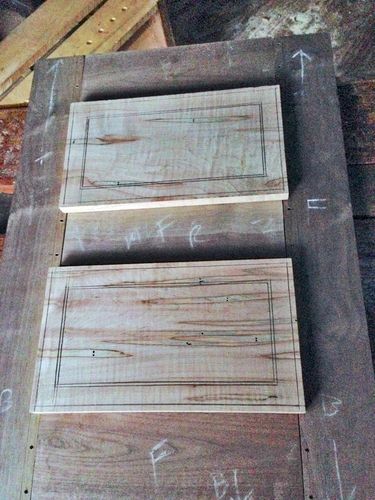 I then cut two panels from 3/4” Ambrosia maple stock. With the walnut receiving the General Finishes Medium Brown Dye/Stain concoction and the Ambrosia maple receiving just boiled linseed oil … I think the contrast will be striking. 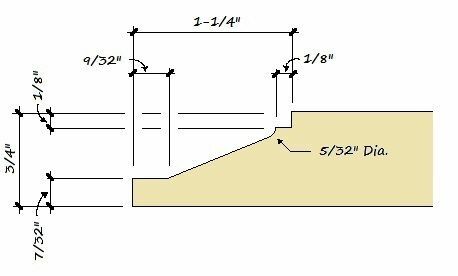 … given that I do not have a raising plane, and will be attempting this profile with just a kerfing plane, rebate plane, round plane, and a couple of chisels. Wish me luck! Looks like you’ve got a plan. That’s a step in the right direction. Looking forward to see how they come out. And I agree that the contrast should be striking. Looks like you’ve got a plan. That s a step in the right direction. Looking forward to see how they come out. 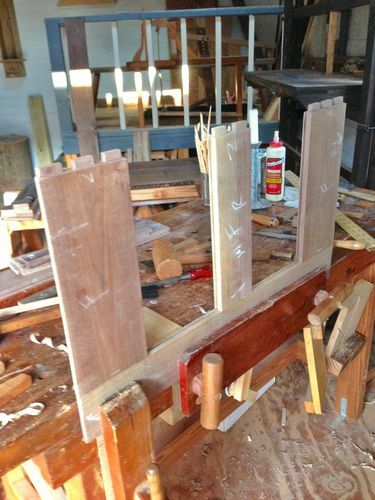 I think you’ve got it right, the layout is most critical, followed by slow removal of all the waste wood. I did this for my first time on a past project with tombstone doors and blogged the method here on LJs, which matches your approach, and it worked out great. Good luck as requested, however I don’t think you’ll need it, I’m sure you’ve got this wipped. I think you ve got it right, the layout is most critical, followed by slow removal of all the waste wood. I did this for my first time on a past project with tombstone doors and blogged the method here on LJs, which matches your approach, and it worked out great. Good luck as requested, however I don t think you ll need it, I m sure you ve got this wipped. 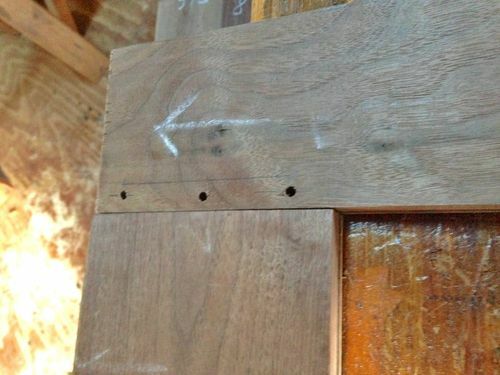 Right … just remove the wood that is NOT part of the raised panel. Thanks for the encouragement / confidence, Tom! 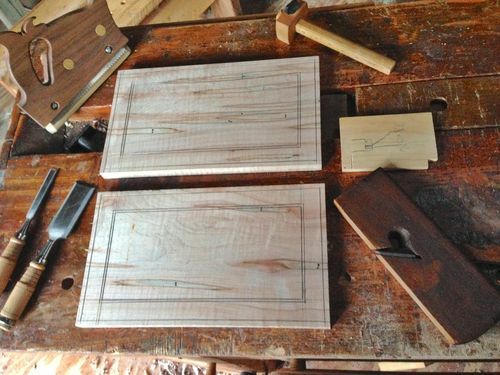 For those looking at this in the future, PopWood had an article on making a panel raising plane that might prove helpful. Great article, Dave. 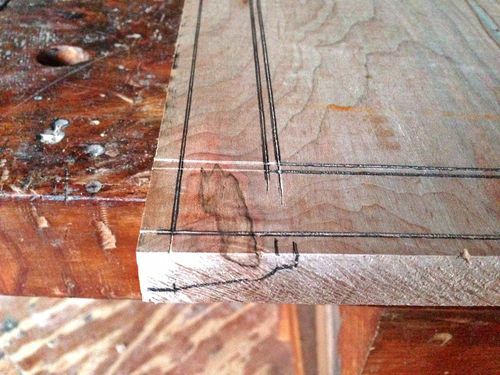 But ya know … now that I made it through the panels with just a kerfing saw, plane, and chisel, I might just stick with that method. After all, the profile possibilities are endless, versus being locking into whatever profile one makes for a panel raiser. Something to think about! Don’t mind at all … bread crumbs are good! Thanks!